Three places to take a hire bike! Three places to take a hire bike. A classic but one that never gets old! Starting from our shop in the centre of Aviemore it’s just a quick cycle along the high street and under the Railway and you are on the cycle path into Rothiemurchus. This means if you have little ones with you there is minimal time cycling in traffic. Once you reach Rothiemurchus follow the Old Logging Way trail for around 6 miles to Glenmore and Loch Morlich. 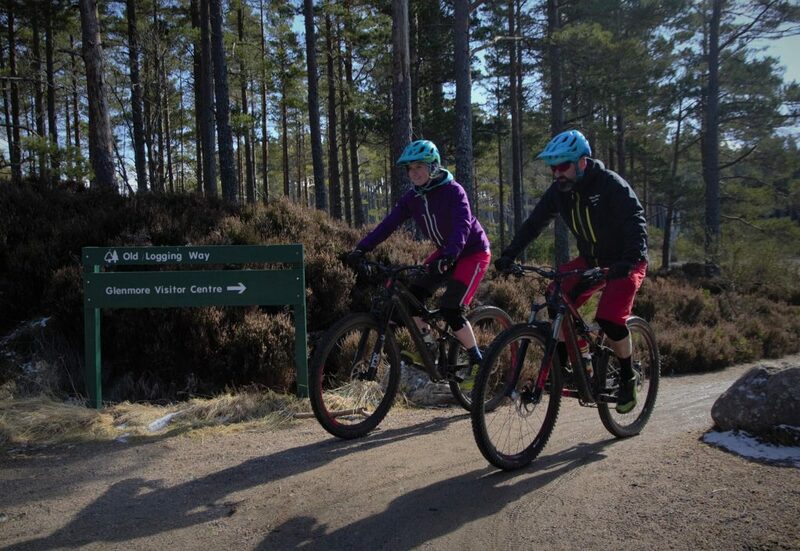 The trail follows the ski road to Glenmore but don’t worry the trail is completely off road, it winds up through the Cairngorm Sled Dog Centre and the Badaguish Outdoor Centre eventually finishing up in Glenmore. The trail is well signed and has no gates (yippee!) and if you have kids they can zoom ahead without getting lost. The Old Logging way is wide and smooth under your tyres, we will however admit that it is uphill the whole way to Glenmore! But when you arrive there you are met with the stunning Loch Morlich and it’s large beach area! There is also a great selection of Cafe’s giving you a chance to refuel at Glenmore, there is Cobbs in the Glenmore visitor centre that serves up a huge range of hot lunches, cakes and drinks. Or there is the newly refurbished Pine Martin Bar on the opposite side of the road. Both offer ample ‘bike parking’ and friendly and relaxing atmosphere’s. 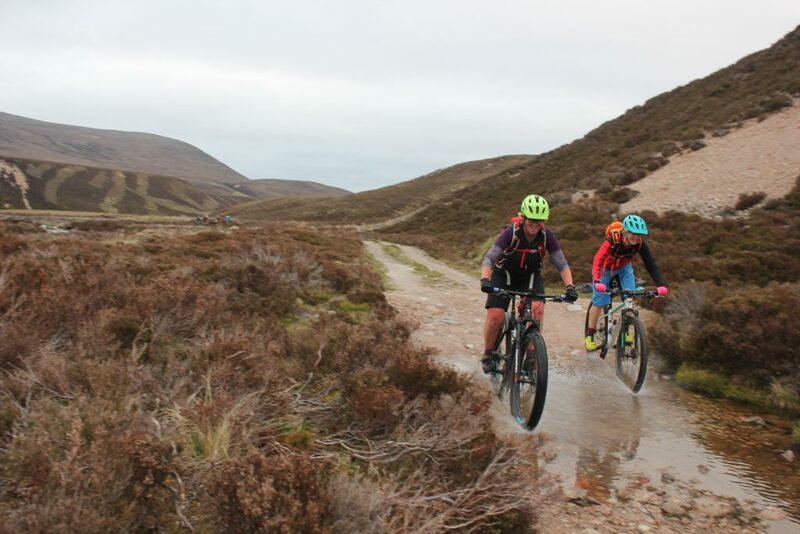 After you have refuelled enjoy a blast downhill the whole way back to Aviemore, that’s the beauty of it being uphill the whole way there! In general it will take around 1 hr 30 to get from Aviemore to Glenmore and then around 40 minutes to pedal back. 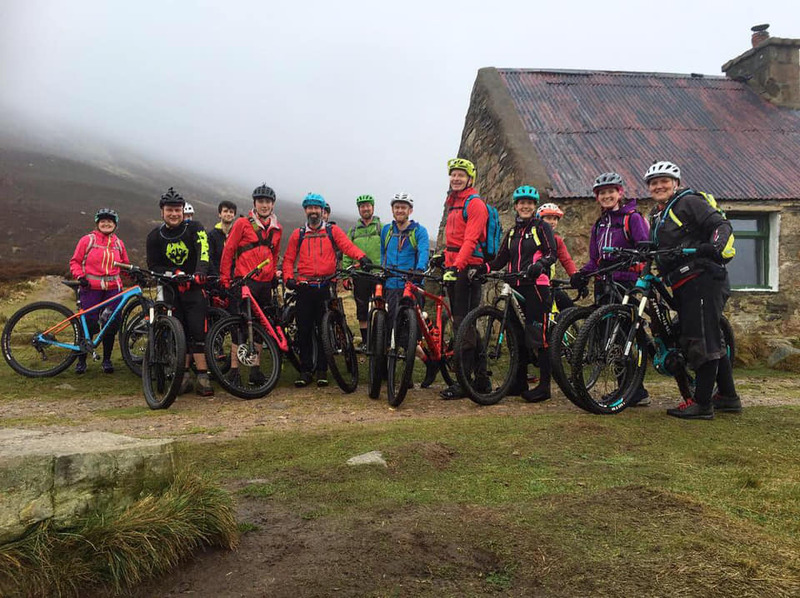 This is an ideal route for a half day bike hire on our mountain bikes or electric bikes. A bothy is probably something you have read about when you have been planning your trip to Scotland, so what are they then? A bothy is a basic shelter, usually left unlocked and available for anyone to use free of charge, often found in the high mountains around Scotland. 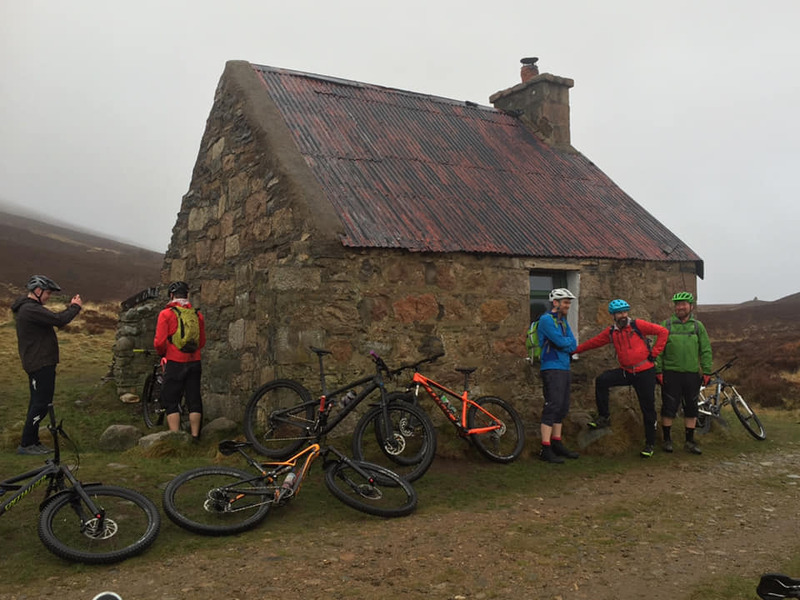 Well if you fancy visiting one that isn’t too remote then we can highly recommend a wee cycle to Ryvoan Bothy. 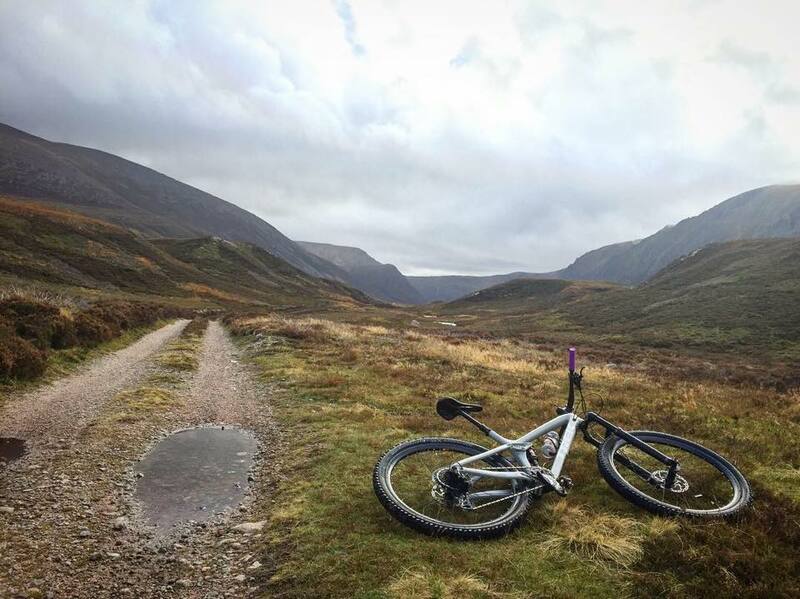 Nestled at the foot of Meall a’ Bhuachaille Ryvoan Bothy is about 10 miles from Aviemore on well used paths. Follow the Old Logging Way trail from Aviemore to Glenmore and then head towards Glenmore Lodge and into the Glenmore Forest. You will then enjoy an additional few miles through the forest past the Green Lochan (Lochan Uaine is it’s proper name!) before the track leads you into the Abernethy RSPB Land (it gets a wee bit Rockier here). You will then see the Bothy sitting at the top of the hill on front of you – don’t give up now! Arriving at the Bothy you have a fantastic 360 view of Cairngorms and Abernethy, an ideal place to enjoy a packed lunch and take some photos of course! 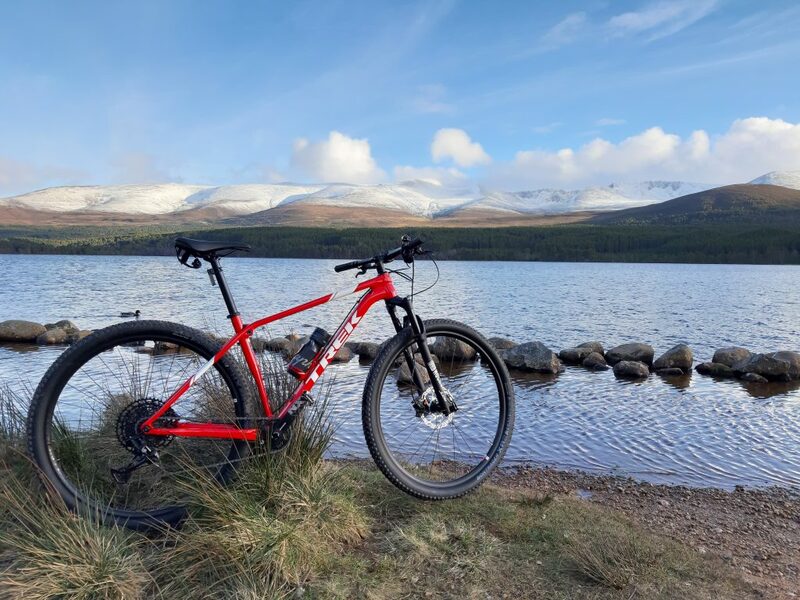 On average it takes around 1hr 30 for intermediate cyclists to get from Mikes Bikes to the Green Lochan, or quicker if you rent one of our electric mountain bikes! Due to the rockier sections of the trail we do not recommend this route for ‘hybrid bikes’. This is one of our favourite routes, and an ideal place for your Scottish selfie for Instagram so pack yourself some lunch and a flask with a hot drink and take an adventure up to Loch Einich! 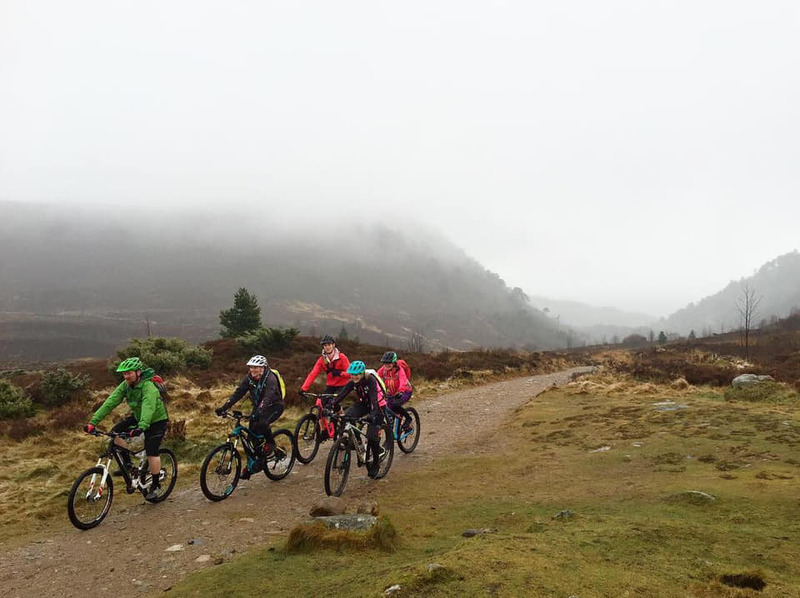 Nestled in the mountains 12 miles from Aviemore, Loch Einich is a remote Loch to the west of Aviemore, the route starts in the Rothiemurchus Forest and then continues into the Glen – Glen Einich. The path takes you through lots of rivers (you will get wet feet!) and over a mixture of singletrack and rocky trails. It is a gentle climb to the Loch however the mixture of terrain keeps you entertained and coupled with the stunning views you soon forget that you are climbing. 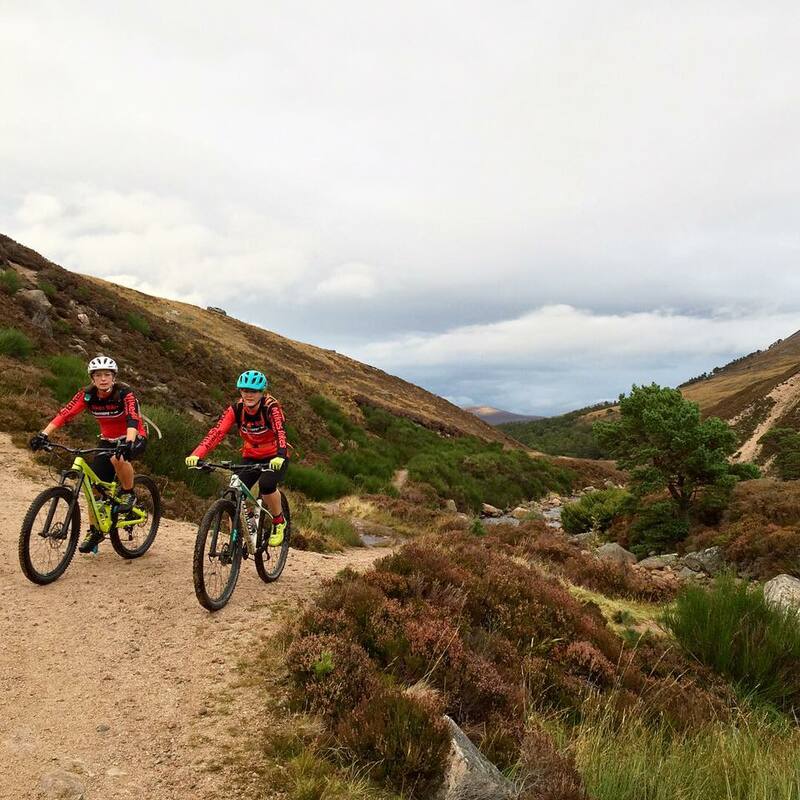 On arrival at the Loch you are surrounded by high jagged cliff tops including that of Sgor Gaoith, take some photos and then turn around and enjoy a fast, bumpy downhill blast back into the Rothiemurchus Forest. 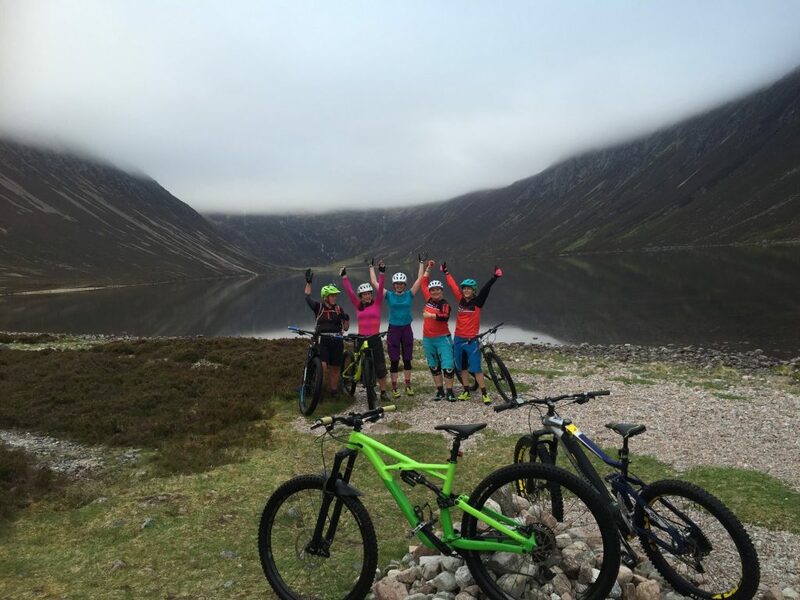 The Loch Einich Route is a great way to fill a full day on your holiday or if you have a free pass from the family and are fairly fit then get your head down and it’s possible to blast this route in just over two hours. 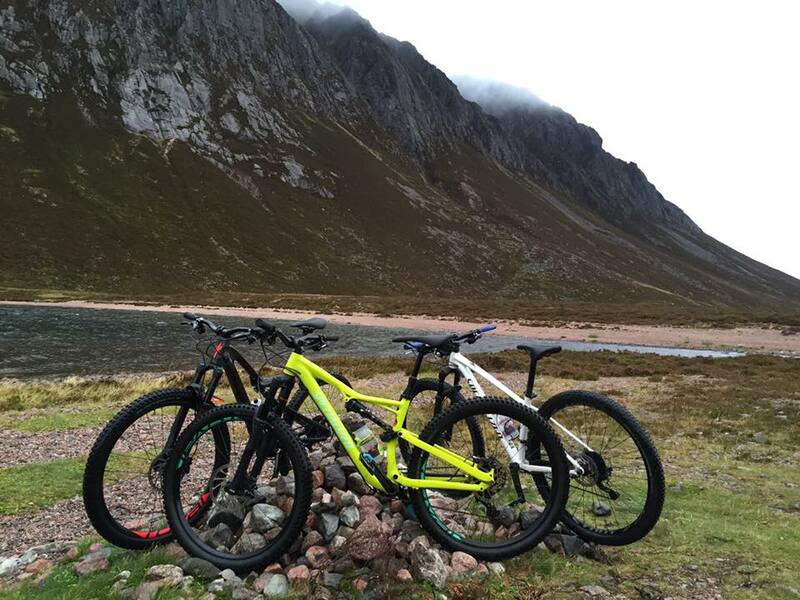 For 2019 we have a range of ‘premium’ rental bikes that are equipped with Rockshox Suspension and semi fat tyres ideal for taking on the rocks and rivers of Loch Einich if you are not travelling with you own bike.